Afternoon Tea at The Kitchen is quite something. 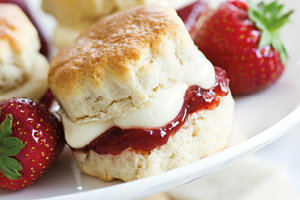 Enjoy two fresh scones with lashings of Dorset’s finest jam and clotted cream, accompanied by a mouth-watering selection of finger sandwiches, homemade cakes and Dorset tea, served in our stylish glass-fronted restaurant with panoramic views of Swan Lake and the idyllic surrounds of Poole Park. Ideal for special occasions, long lazy afternoons or simply as a sweet treat, afternoon tea can be enjoyed with table service in The Kitchen’s relaxed waterside restaurant or, if the weather permits, dine al fresco on the heated terrace or decked area. Fancy a touch of indulgence? Add some fizz with a glass-sized mini bottle of Prosecco or explore the range of speciality teas from Dorset Tea and custom blended organic coffee from local roaster Beanpress. Afternoon Tea is available Monday – Saturday and served between 4 and 5pm, priced £15 per person. Tables of four or more must be booked in advance.